In so many ways, 2014 was an amazing year. It was a year full of firsts. For the first time I ran a nail art workshop and held pop-up nail art salon. I also tried hundreds of new nail polishes and dozens nail care products. Some were hot, some not and others blew my mind! 1. Rimmel Salon Pro Top Coat Ultra Shine: It was used up so quickly, I didn’t get a chance to photograph the bottle for the full review. It’s easy to apply! It doesn’t shrink and doesn’t get bubbly. It has a fantastic wide brush, like Dior polishes, but without the price tag. Gimme more!!! Get it $8.95 AUS here. 2. 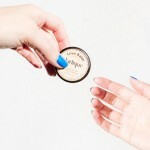 Orly Cutique: A truly amazing product that instantly grooms your cuticles and somehow dissolves flaky bits. Amazing, I know! Get it $19.95 AUS here; $10 US here. 3. Orly Bonder: It does exactly what it says – it bonds! 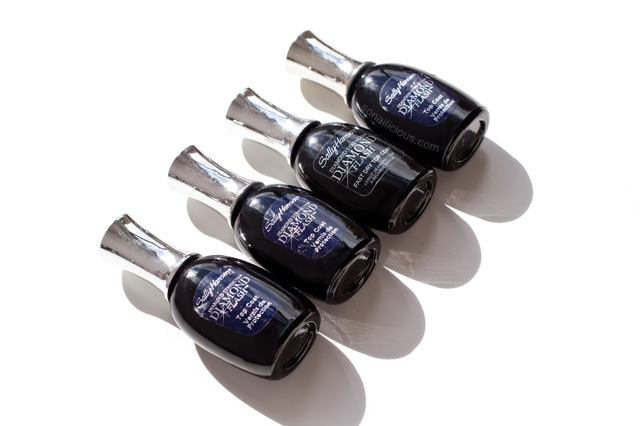 The Bonder bonds polish to nails so well it became a cult product and celebrity manicurists’ favourite. Get it $10 US here. 4. Sally Hansen Cuticle Rehab: A small yet powerful friend for your cuticles. 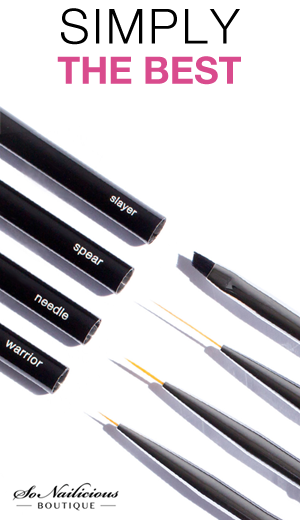 Great for travelling or on-the-go applications. Get it $7.49 US here; $10.36 AUS here. 5. 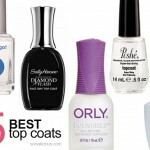 Sally Hansen Diamond Flash Top Coat: Another affordable yet super-mega-fantastic top coat. I went through at least 6 bottles last year and I still have 4 in my stash, just in case. Yep, it’s that good! Get it $6.99 US here; $13.95 AUS here. 6. Sea Siren Hand and Foot Scrub: Amazing non-greasy scrub, gentle formula that visibly softens fine lines and leaves hands refreshed and nourished. When we were shooting our DIY hand spa at home tutorial, our hand-model Evgeniya was so impressed by the scrub that she wanted to buy it straight away! Needless to say, on that day we all stayed in just to give ourselves a Sea Siren DIY hand spa. 7. Revitanail Remover Wipes: I never thought wipes could remove polish as well as acetone but Revitanail wipes did exactly that. A fantastic multi-tasking product, it removes polish AND moisturises your cuticles simultaneously. 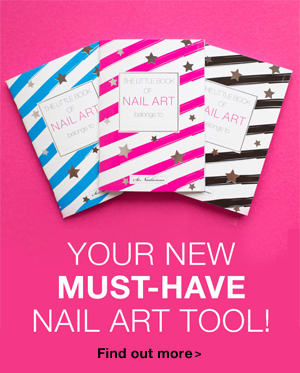 Great for travelling and sneaky polish removal in the office! It won’t leak and it won’t smell. Get it $5.99 AUS here. 8. Jurlique Rose Hand Cream: Just like the Rimmel top coat, this cream got used up too quickly. Hence the photo of the empty tube :) Guys, it’s one of the best smelling and moisturising hand creams out there. So if you’re looking for one (maybe to accomplish Resolution #11) – try this one, it won’t disappoint! Get it $25 US here, $28 AUS here. 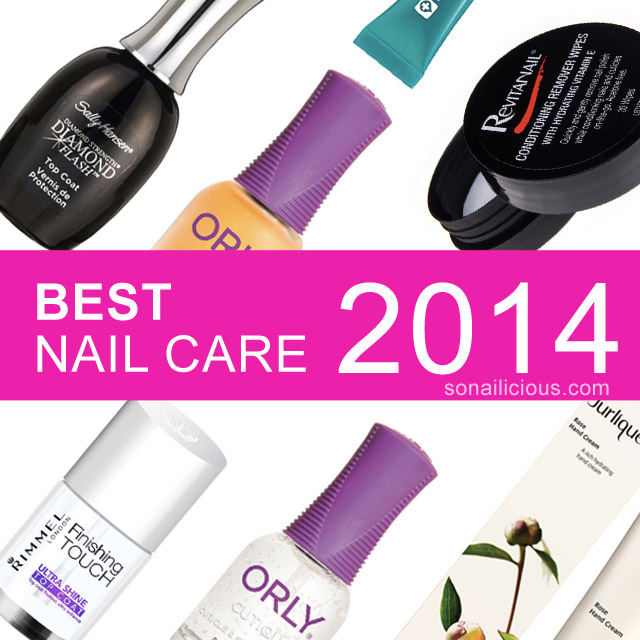 What new amazing nail care products have you discovered in 2014? Then stay in touch by subscribing to our Weekly Newsletter or follow us via Bloglovin for daily updates. 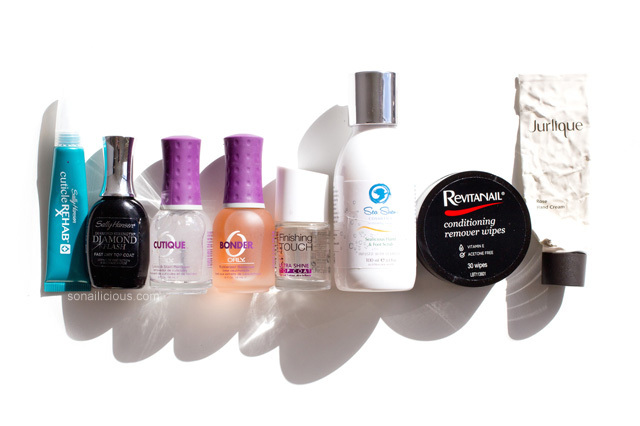 10 Best Nail Strengtheners According to You!